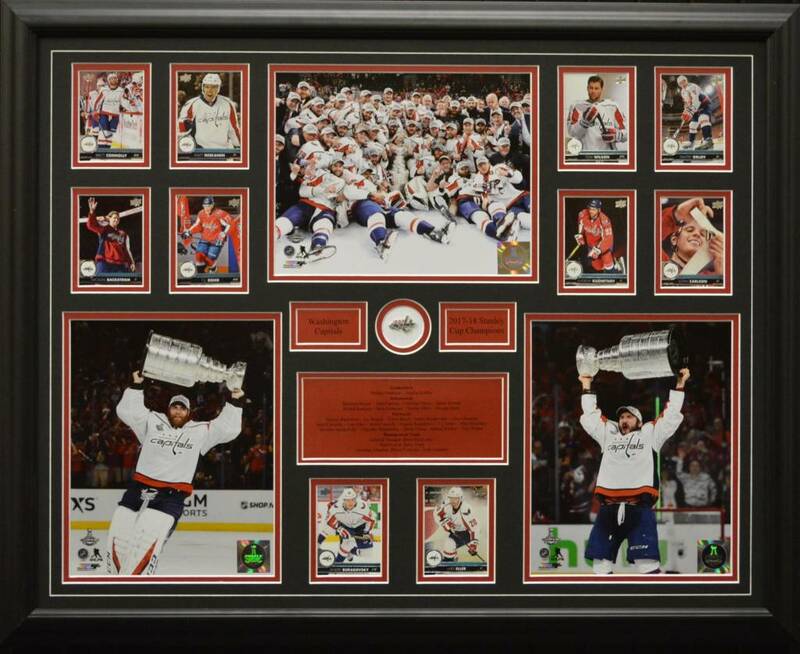 Contains three photos (Braden Holtby-Team Center Ice Celebration-Alex Ovechkin), ten cards, pin, roster, and nameplates of the team listed. Cards will include an assortment of players that played on that team. Approximate outside dimensions are 24.5" by 30.5". Double matted in black and team color. Frame is solid wood with 2.5mm Tru Vue Glass. Comes with protective corners and shrink-wrapped. Cards may vary.